Are you passionate, experienced, skilled and committed to working with and supporting Aboriginal and Torres Strait Islander children, families and communities? Do you believe in creating a more socially-just society and promoting their rights, needs and aspirations? Do you want to work with an organisation that is proudly Aboriginal-community-controlled, representing the interests of Aboriginal and Torres Strait children and families? Do you have experience and relevant qualifications working in areas such as policy, training, resource development, communications and community engagement within this sector?  SNAICC – National Voice for our Children is the national non-government peak body in Australia that represents the interests of Aboriginal and Torres Strait children and families. SNAICC has been supporting Aboriginal and Torres Strait Islander children and their families since 1981, which has resulted in many key milestones and achievements – both in policy developments at state, territory and federal levels, and also in developing innovative and useful resources for the sector. SNAICC is a diverse team, gathering people from a variety of backgrounds with a range of skills and experiences, all of whom work together in co-operation and mutual respect. We offer our staff an excellent wellbeing program, opportunities to participate in cultural events and activities, and professional development opportunities. Staff are offered professional and personal development through ongoing on-the-job training, internal and external training opportunities, and whole-of-agency staff in-service days designed to build morale and knowledge. We’re always looking for committed and dedicated people to join our workforce so check out our positions vacant. SNAICC strongly encourages Aboriginal and Torres Strait Islander people to apply for positions at SNAICC. SNAICC provides access to formal training and professional development. SNAICC is always looking for volunteers, students and interns to undertake work in a range of areas. You can help make a difference by assisting us with policy and research, training and resource development, campaigns, communications, Aboriginal Children’s Day, and much more. Subscribe to the SNAICC e-Bulletin for notices of future job vacancies. Are you passionate about advancing the rights of Aboriginal and Torres Strait Islander children? SNAICC – National Voice for our Children, the national peak body for Aboriginal and Torres Strait Islander children, is seeking an enthusiastic Senior Sector and Practice Development Officer. The role will deliver high-quality training to Aboriginal and Torres Strait Islander communities and non-Indigenous services across Australia. As an expert in early childhood development, the role will work closely with the Senior Sector and Practice Development Manager to design and develop new and existing sector and practice development programs and resources for staff in early childhood services. SNAICC wants to hear from individuals with demonstrated experience designing, developing and delivering sector development programs with both Aboriginal and Torres Strait Islander people and organisations, and non-Indigenous workers. The ideal candidate has an in-depth understanding of issues impacting Aboriginal and Torres Strait Islander children and families, and strong commitment to their rights, needs and aspirations. Download the position description for more information and to learn how to apply. Please email applications and initial inquiries to: tanya.wells@snaicc.org.au. For general information about SNAICC, visit the SNAICC website www.snaicc.org.au. For questions about the role please contact Emma Sydenham, Acting CEO on 03 9419 1921 or 0415 188990. Applications close 6pm AEDT on Monday 25 February 2019.